thanks ,steve. a green google map of paris, right?linda, thanks for the comment, i would like to think about work in new ways. Great detail in this photo. 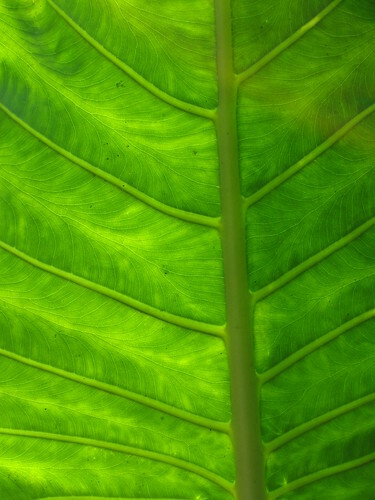 The veins in the leaf look like roads on a green google map. Beautiful. ok david…get up you sleepy head! Work can be fun… i just have to get out of bed! thanks for the image comments…i like the texture and light in this one as well. That image just jumps out. It's wonderful. The texture comes through beautifully. Nance, I love the image. Blessings. hazel, so good to see you here again. oh, i agree with you there, i can get a lot of procrastination done too. i wonder if we can call that work too. thanks, LL. good to hear from you.susan, thanks for adding your lines :-)sam, you are the first to comment on that. i am getting a lot out of the book. i find it a good read so far. Procrastination is my favorite thing! However I agree you can't know the fun in Work until you BEGIN !! I see you're reading Knowledge of the Holy. I spent a good bit of time in that one a few years back. brian,yes, kind of like getting onto the tilt-a-whirl or a ferris wheel.